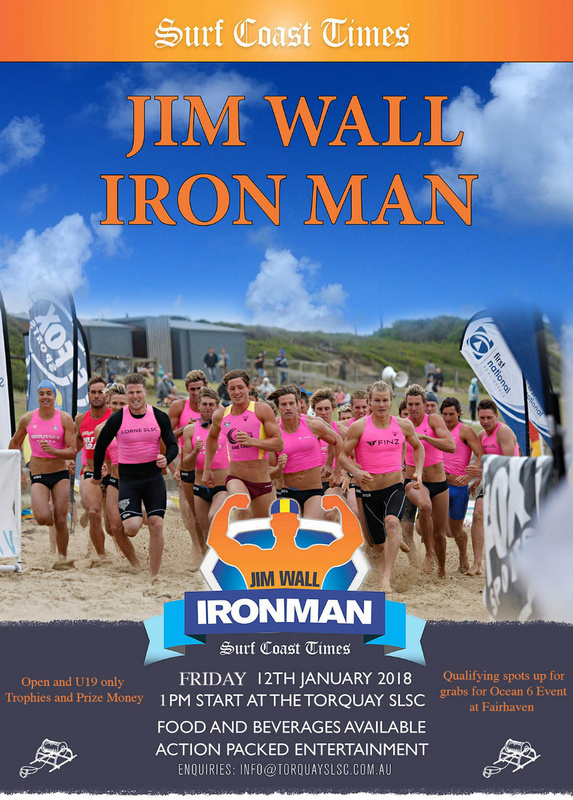 The Jim Wall Iron Man is Australia's longest running Iron Man event. Held at the iconic Torquay surf beach this event has been won by some of the greats. Events for under 19 and open run on the day. This is an action packed event not to be missed. Ocean6 qualifying event. Presentations to be held at the conclusion of the last race at TSLSC Main Hall. Prizes winners must be presented to accept award. No third party representative or posting or awards will occur.